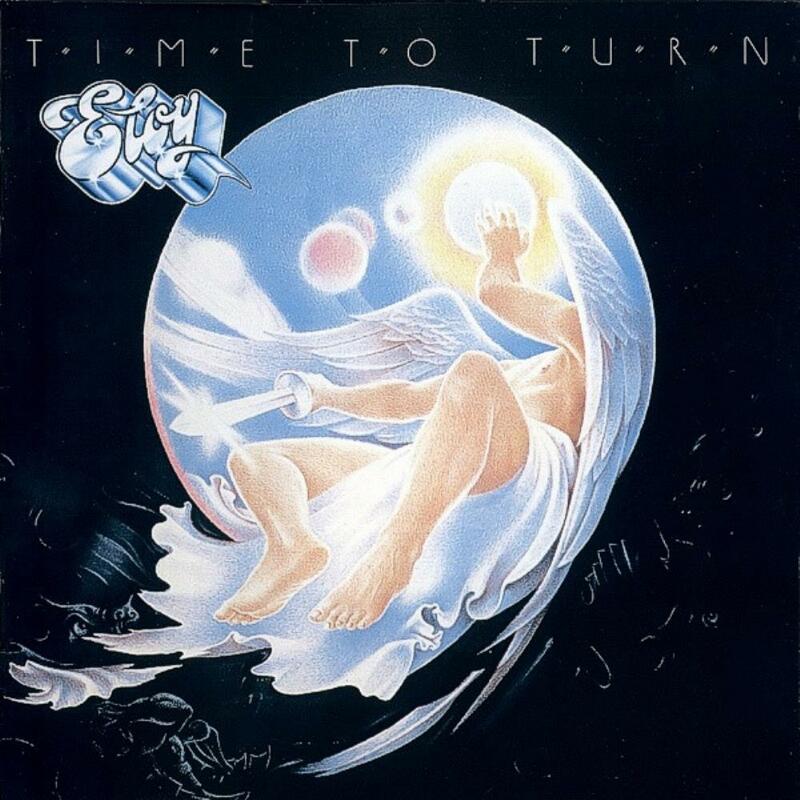 Time to Turn was probably Eloy's most enjoyable release of the 1980s and the perfect marriage of 1970s space rock and symphonic prog with 1980s synth-driven album-oriented rock. In many ways, one might consider this as Eloy's "Duke," as Genesis around this time was combining it's prog rock formula with contemporary 1980s pop rock. But Time to Turn was better than Duke as the AOR approach was more muted, often retaining solid performances that might have fit easily on Silent Cries and Mighty Echoes. For this album, Eloy featured a new drummer in Fritz Randow, replacing Jim McGillivray. After Eloy's break up in 1984, Randow would join heavy metal acts such as Victory, Sinner, and Saxon, and would later join the popular German band Jane. As McGillivray's replacement, he did an admirable job. Eloy as a group was still experiencing internal struggles concerning the direction of their music. Apparently some members wanted Eloy to take the hard rock route. One can sometimes detect that here and there in their songs, but primarily Eloy seemed to move more towards a spacey neo-progressive sound, dominated by lush keyboards and Bornemann's well-placed guitar hooks. The best songs on this album are the opener, "Through a Somber Galaxy," and the beautiful "End of an Odyssey." Both are fitting contributions to Eloy's catalogue and firmly hearken back to the late 1970s Eloy sound. On the opposite end is the title track and "Say, Is It Really True," both easily falling into the pop rock category. That's not to say these are bad songs. Far from it, they're intelligently crafted pop rock songs that are exceptionally better than most of the fodder that was being played on the radio in 1982. If only they had received some proper attention in the U.S., Eloy could have been superstars (or maybe a one-hit wonder?) entering the endless stream of primitive music videos on MTV, if even for a brief moment. Fortunately that did not happen, so Eloy did not quite take the route of Genesis or Yes, although their future route would be clouded with mediocrity. Clearly Eloy's best album of the 1980s and an excellent addition to any prog music collection. A must-have for Eloy fans. Four stars.